EghtesadOnline: Trade between Iran and the neighboring Turkey stood at around $8 billion in the first half of 2018 and is estimated to reach $12 billion by the fiscal yearend (March 2019), the chairman of Iran-Turkey Chamber of Commerce said. “During the difficult times when Iran faced sanctions and when economic restrictions imposed on the country were tightened in 2012, Tehran-Ankara trade reached $22 billion. After Iran’s nuclear agreement with world powers, the figure dropped to around $11 million. But with the [recent] reimposition of US sanctions against Iran, commercial interactions between the two sides will once again experience an uptrend,” Reza Kami was also quoted as saying by IRNA. According to Anadolu Agency, in 2017, bilateral trade between Turkey and Iran totaled $10.7 billion, up nearly 11% year-on-year. In the first nine months of 2018, trade volume was at $7.5 billion, Financial Tribune reported. 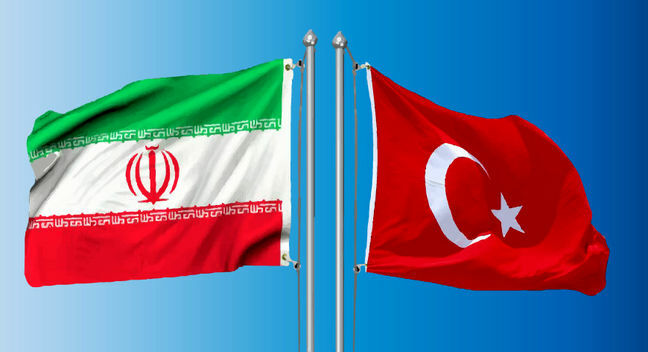 Turkey mainly exports gold, steel profile, automotive spare parts, fibreboard and land transportation vehicles to Iran while it purchases raw petroleum materials, natural gas, plastics in primary forms, metals (other than iron) and organic chemicals from Iran. Admitting the fact that sanctions create hurdles in monetary transactions, Kami added that the establishment of a joint Iran-Turkey bank by the private sector will lead us out of this situation. “The Turks have agreed on the formation of this bank. They have already begun the process and are now waiting for the Central Bank of the Republic of Turkey to issue the required permit,” he said. Kami said Turkish companies are willing to expand trade and invest in Iran, especially in northwestern regions bordering Turkey due to their common culture and language. Mohsen Nariman, managing director of Aras Free Trade-Industrial Zone located in East Azarbaijan Province in northwest Iran, said 60% of the companies operating in the zone are foreign companies while 30% are Turkish companies, adding that the region is free of tariffs and taxes. He stressed that Turkey is considered the most important country by Iran from among countries exempted from US sanctions, the Middle East Monitor reported. “We have business relations with Turkey for many years and these relations cannot be broken,” he said. Davut Behbudi, the head of Tabriz Planning and Administration Organization, said trade relations between Iran and Turkey are deep, noting that the US sanctions will have a slight impact on those relations, and the two countries are bound by trade agreements. Turkey will not abide by the United States’ sanctions on Iran, Turkish President Recep Tayyip Erdogan said earlier this month, describing Washington’s move as aimed at unbalancing the world. Erdogan’s comments to reporters in Ankara came a day after Washington reimposed sanctions, abandoning a 2015 deal between world powers and Iran over its nuclear program, while temporarily allowing major customers, including Turkey, to keep buying crude from the Islamic Republic. The text of a speech by Turkish Foreign Minister Mevlut Cavusoglu seen by Reuters showed that "Turkey is in close cooperation with the United States, the European Union and other parties to reduce the negative impact of US sanctions on its relations with Iran." The Turkish president earlier said his country will start using local currencies in trade with Iran, Anadolu Agency has reported. Erdogan made his remarks at the Kyrgyz-Turkish Business Forum held in the Kyrgyzstan capital, Bishkek, on Sept. 2. He stressed the need to put an end to US dollar dominance of trade exchange gradually by dealing in local currencies. “Linking world trade, particularly with the US dollar, is becoming a big problem day after day,” Erdogan explained. He also spoke of his intention to take the same measure (using local currencies in trade) with China and Russia. "The new US sanctions against Iran can have positive consequences for Turkey," an Iranian diplomat recently told Anadolu Agency. "This is the best opportunity for Turkish companies to increase their presence in Iran. They can use this benefit to conquer the part of market that was acquired by European and Chinese companies," Hafez Mousavi, commercial counselor of the Iranian Embassy in Ankara, said. Mousavi noted that Turkey and Iran can expand tourism cooperation. He added that sanctions can be a good opportunity for Iran to reduce its dependency on oil revenues and boost non-oil exports. "We are going to implement policies to expand our non-oil exports and enhance our production capacity," he said. Mousavi noted that Iran gives priority to boosting relations with neighboring countries, the Middle East and Commonwealth of Independent States. Highlighting that private sector plays an important role to achieve this goal, he said most of the companies located in the region are not linked to US companies. On the trade in national currencies with Turkey, Russia and China, he said it is on Iran's agenda. Mousavi said the use of Turkish lira instead of US dollars would also be welcomed by Iranian companies. "Turkey is our main partner and neighbor. We prefer to use lira instead of dollar," he said.